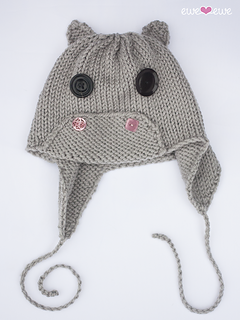 This little Hippo Hat is a fun twist on a baby’s earflap hat. With the addition of a nose and some cute buttons this hat turns in to a hippo. You’ll be the hit of the baby shower with this little charmer! Gauge: 20 sts to 4” in st st.